If you’re not interested in shelling out £100 on hair straighteners and only want to use these a few times a week, you’ll be very happy with this Pro Elegance set. BaByliss has a good, solid reputation and I doubt these will break particularly fast. If you take care of them then they should leave you with straight hair for a few years to come. 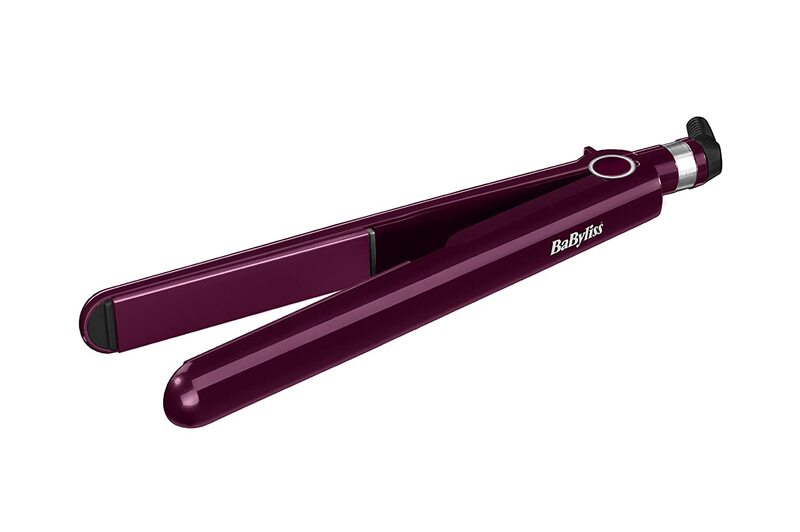 These are quality basic hair straighteners; i.e. they don’t have any fancy add-ons and have much the same features as all other brands. Three temperature settings, auto-shutoff, 3m swivel cord and fast heating ceramic plates. If you like the colour – go for it! BaByliss was started in Paris by the French hair stylist Lelievre. He worked to improve on the first curling tongs and soon became an expert in his field. He started BaByliss and the company took off, eventually being bought by the personal care giant Conair in 1995. Conair stared out in hair rollers back in the 1950s and has worked tirelessly to acquire and grow brands in this range. They have become one of the world’s largest manufacturers of hair appliances and have guided BaByliss from strength to strength. BaByliss have always gone for design heavy products and their goods always appeal to a younger market it seems. 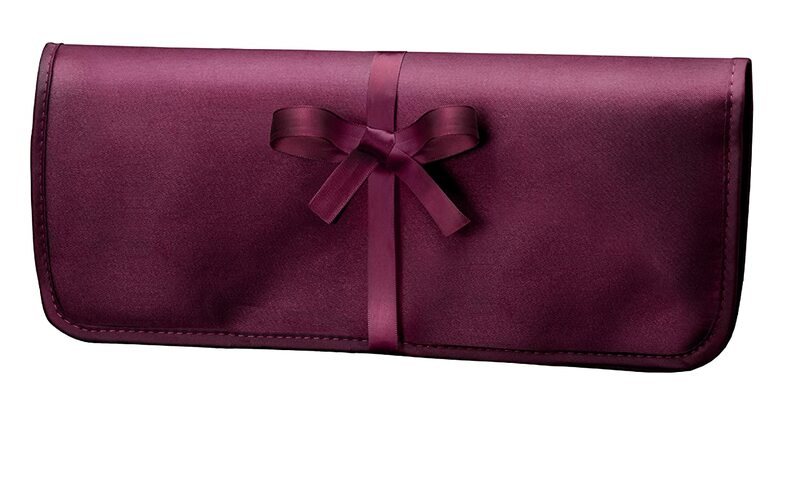 This hair straightener is no different with its deep, decadent colouring and matching heat pouch. Whether you like the colour or not is a personal preference, but I do sometimes wonder if they don’t limit themselves by creating such in your face designs. 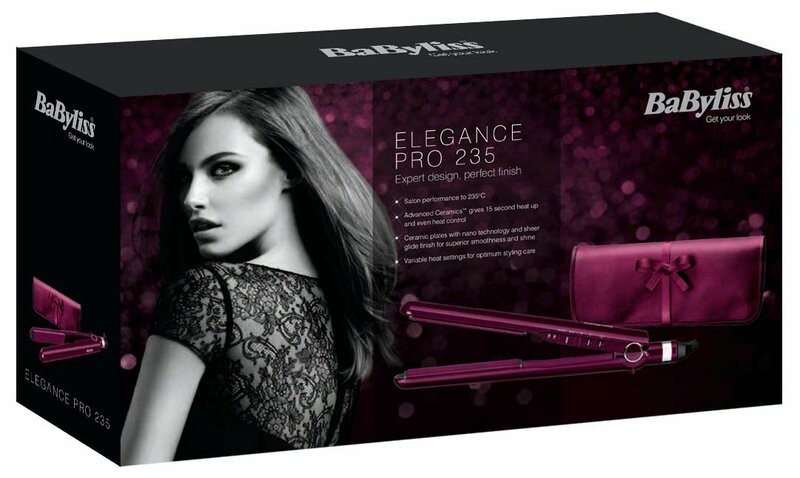 This Pro Elegance hair straightener sits well in BaByliss’ range of standard straighteners. It’s not out to do anything special and it doesn’t claim to be infused with any magical substance. Instead it’s aimed at those who simply want glossy straight hair without having to save up for months and justify the purchase over a week’s food shopping. With three temperature settings, it’s situated itself nicely to appeal to most people and it has plates 25% longer from it’s earlier straighteners for a faster, more effective process. The temperatures are 180, 200 and 235 degrees, which do cover most hair types. Straighteners with more than three temperature settings are usually a bit pointless and this is a good range. They heat up quickly, faster than their nearest competitor, Remington. The heat pouch can be used as a heat pad and they always have an auto-shutoff like most modern models. They cope with mid to long hair surprisingly well – although maybe I shouldn’t be surprised, as BaByliss do tend to make very good products for their price range. If you’re someone who straightens their hair a few times a week, I’d be happy to recommend these and I don’t see why, with a bit of care, they shouldn’t last for years. BaByliss are really the proof that you don’t have to spend £100+ on high end hair straighteners to get a really good product and frequently, these are essentially as good as GHDs. So the more solid, dependable and expensive feeling isn’t there and the casing always looks cheaper – but they will do the job for a good while. With a 3m swivel cord and nano-ceramic plates, these are fairly bog-standard when it comes to features and there’s nothing fancy or unnecessary. Like most straighteners these days, they have multi-voltage capability so it’s no big deal to take them on holiday with you if you really can’t bear to be without them.